Like many things in life, having the right timing when it comes to selling your house really pays off. But it’s impossible to optimally time your home sale and the inevitable move that follows unless you have the relevant facts. Conventional wisdom has long held that the best time to sell a home is in the spring and summer, before the first school bell of the season rings. It’s also important to remember that the home buying and selling season varies by market. Warmer areas of the country, such as Phoenix and Las Vegas, are much more active throughout the year than most markets. At Opendoor, when we are asked about the best time to sell a home, our answer has always been the same: The decision to move on to the next chapter in your life is a personal one – and should take other factors into account than just the seasonality of the housing market. Maybe you’ve accepted a new job, you’re expecting a baby, or your grown-up children are about to move out. No matter the reason, when you sell a home should align with your current needs and your long-term goals. 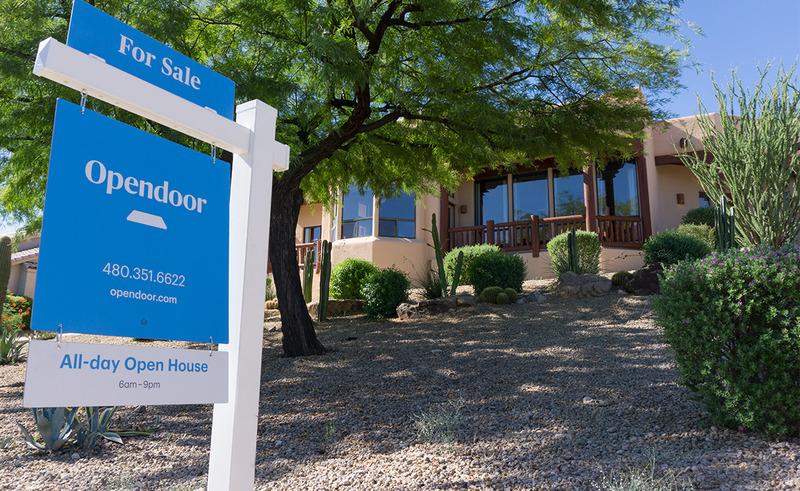 Before you stake a “For Sale” sign in your yard, consider these five factors as you decide whether it’s the best time for you to sell. Personal finances are often a driving factor behind home sales. If you’ve occupied your home for several years, you may have equity you can use as a down payment on a new home, to supplement your retirement, or to pay for other big expenses. As Marketwatch explains, if the house you’re selling is your primary residence, and you’ve lived in it for at least two of the past five years, you won’t pay capital gains tax on the first $250,000 (single owner) or $500,000 (married owners) on the “gains” from the sale. Another financial factor is whether you have enough cash flow for the costs associated with moving. According to the American Moving and Storage Association, the average cost of an intrastate household move is $2,300, while the average cost of an interstate move is $4,300 (average distance of 1,225 miles). These numbers do not include the cost for making repairs to your current home before listing, sprucing up a new home before moving in, and buying new furniture and appliances. The timing may be right to sell if you have extra savings to support these expenses. On the flip side, your financial circumstances may mean now is the wrong time to sell. For instance, if you owe more than your home is worth, also known as being “upside down” on your mortgage, you may want to wait so you don’t lose money on the sale. 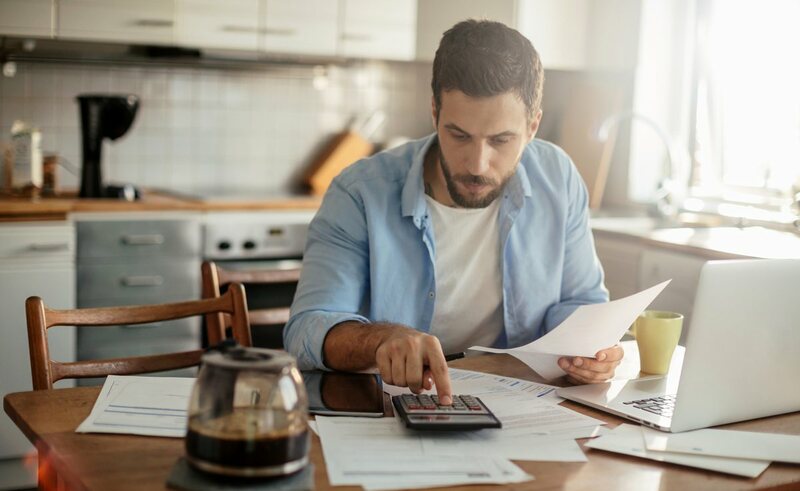 Instead, as The Balance suggests, you might want to talk to your lender about modifying your loan, apply for a refinance from another lender, or explore a government-sponsored refinance program like HARP. Once you’ve built up more equity, or the market value of your home has increased enough to provide you with equity, it may be time to reconsider selling. If waiting to move isn’t an option, consider renting the property for a year or two to cover the mortgage payment and build equity before selling. The best case scenario, of course, is when your mortgage loan is completely paid off, and you want to sell in order to cash out, fund your retirement, or roll the sales proceeds into your dream home. Selling on a short timeline can be stressful, but there are ways to ease the process. If selling traditionally, consider selling the house as-is. You’ll price the home a bit lower in exchange for not making any repairs, which can be costly and time-consuming. You could also consider selling your home to a direct buyer like Opendoor. At Opendoor, we take a single service charge to provide you with a hassle-free sales process without listing, showings, and months of stress. You’re in complete control of your moving timeline and choose your own closing date. Sometimes a home no longer suits your needs or lifestyle. Maybe your family has outgrown the number of bedrooms, or your pets need a larger yard. Perhaps you need office space to launch a home-based business. The decision to sell your home and upgrade could be spontaneous. More likely, it will require time to consider exactly what you want before you take the plunge. Walk around the house and take inventory of the spaces you use and how they meet your needs. Are closets overflowing? Is the kitchen cramped? Do you need another bathroom? Some homeowners might come to a different conclusion, that they need to downsize. Are there spaces you never, or rarely, use? Has regular maintenance become daunting? You might want to save money, reduce clutter, or save time on home and yard work. Downsizing to a lower-cost home could free up money for luxuries like travel. Or, maybe your kids have left the nest and you simply no longer need the extra space. On the other hand, you may want to wait to downsize if you have college-age children who may need to move back home. And moving, even downsizing, carries its own costs. Personal factors aside, sometimes it’s best to sell your home during peak months to take advantage of higher sales prices. If you’ve been on the fence about selling your home, the calendar could be your guide. Nationwide, home sales tend to pick up in February, increase even more in the spring, and peak in the summer, according to the National Association of Realtors (NAR). But the pattern could vary according to your geography. For example, thanks to the mild winter weather, home sales in Phoenix hold fairly steady year-round, spiking in March and again in May. Sales in colder climates might spike later in the summer. Make sure that you do some research and familiarize yourself with the current trends in your local market. NAR and Realtor.com have helpful research sections, among others. Additionally, talk to a seasoned real estate agent to fully understand how seasonality impacts your local real estate market. If possible, consider deferring the sale of your home a few months to take advantage of most favorable conditions in your locale. There are other market factors to consider besides seasonality. One of the biggest is the inventory of houses for sale in your area. Low inventory means it could be a good time to sell, since buyers may clamor for any available properties and may be willing to pay top dollar for your home. If you’re curious about the inventory in your area, Realtor.com offers statistics about regional home sales, including median sale prices, the number of active listings, and days on the market (DOM). The DOM tells you how many days the home was on the market before it sold. A low DOM can signal low inventory and higher sales prices. Another consideration is mortgage interest rates. When interest rates are low, buyers are motivated to take out mortgage loans. More buyers mean more sales, which could translate into less time on the market, or more money, for your home. Similarly, buyers are motivated when they are worried interest rates might go up soon. Sites like Kiplinger will forecast these interest rate hikes based on the activity of the Federal Reserve. Changing interest rates can make quite a difference for home buyers and sellers. 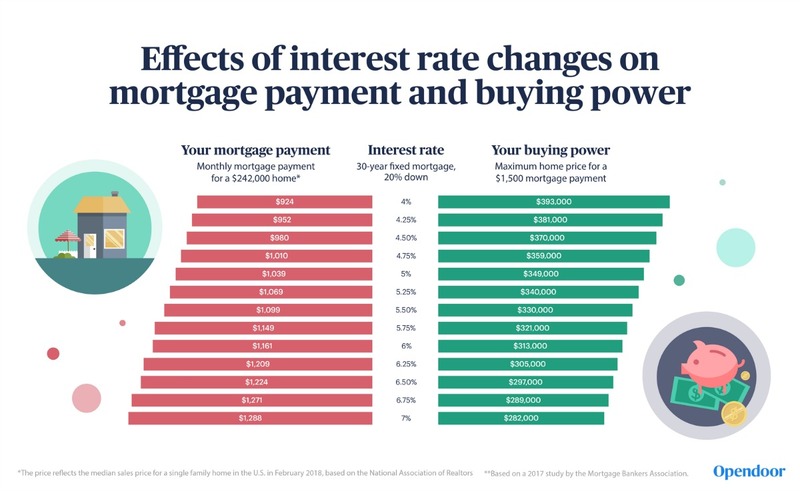 For example, a 0.5% rise of the interest rate can result in a 6% increase in the monthly mortgage payment (our numbers include monthly principal and interest only) and a ~5.8 decrease in house purchasing power. Even with rising mortgage interest rates, the NAR has predicted modest growth for sales of existing homes in 2018. To find out more about the market conditions and average selling price in your area, you can read the latest reports at the NAR housing statistics website. Moving is a life-changing decision. All things considered, the best time to sell is the time that’s best for you. Once you’ve taken a step back, looked at the big picture and weighed all your options, you can feel confident selling your home at any time you are ready for it.